poor united. i know it’s not an easy thing to integrate two disparate passenger service systems, but egads, my call center (or, as they call it, phone-contact center) experience tonight was absolutely deplorable. You may have a longer wait time to reach our phone-contact centers and we are working to reduce the time it takes for you to reach us. We have increased staff at our contact centers to serve you better. yeah…i called the premier gold priority line at 6:51 PM to add an in-cabin pet to my reservation for next week (yes, aubrey will be coming with me to philly — couldn’t do it online, i’m thinking, because it has a codeshare with us airways*). at around 9:15, still on hold for the gold line, i used another phone to call the regular 800-UNITED1 phone number. which do you think answered first? the regular line (no complaints, i just wanted to talk to someone). at around 11:15. yes, even after almost 4.5 hours, the premier gold line still didn’t pick up. i’m not upset, just a little frustrated. i left my phones on speaker so it’s not like i wasted any time (i made and ate dinner, folded my laundry, got some work done…), but over four hours on hold for an elite status priority line? that’s unacceptable. yes, you’re going through hard times and you say you’re adding staff, but at this point you really need to bring in the reinforcements. Just spent three and a half hours on hold with @united. Didn't ever talk to a person. My friend booked w/another airline bc of it. Dear @united, being put on hold for 70 minutes is unacceptable. This is not going to be the last you hear of me. @jonk at this point, could've gone to OAK hit up @united counter and asked for assistance. #smh then laf'd about wait. i know once things settle down i’ll be getting the great service i’m used to from the gold line, but at this point in time, it’s atrocious. good luck to anyone needing phone support from united! definitely try and see if you can’t accomplish what you need online first. this definitely takes the record for the longest time i’ve ever been on hold for anything, ever. * i have to pay us airways their in-cabin pet fee as well as united; luckily it’s just the outbound journey that has two airlines involved. 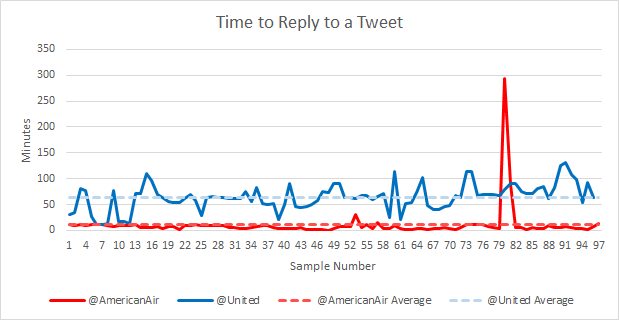 Experiment: How Long Do @United and @AmericanAir Take To Reply? 2 Comments on "Holding Pattern for United’s Overwhelmed Call Centers"
Jeff and I had equally deplorable experiences with the United call center. 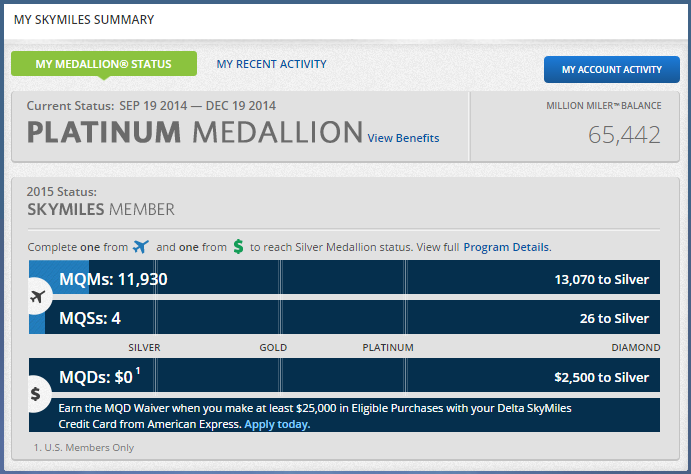 Now the 1K line isn’t manned 24 hours a day (despite 1Ks living and flying all over the globe on a daily basis). 1 hr 45 minutes I will never get back again. I hope when things calm down they’ll get better but at this point I’m not holding my breath.